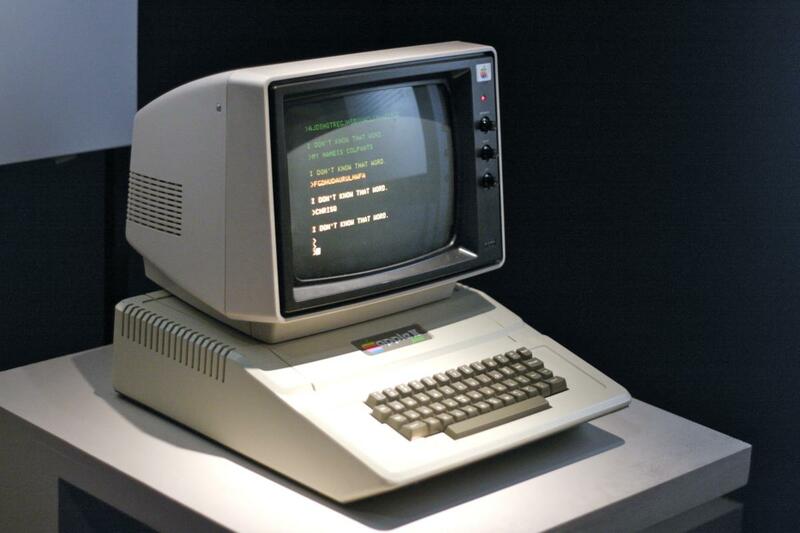 When Apple introduced the Apple II, the need for a home computer was largely untested. When Apple launched the Apple II in 1977, it was still far from certain that consumers would want or need a home computer. While hobbyists were tinkering with computers they built and programmed themselves, Apple saw a need for something easier, and introduced the Apple II. CUPERTINO, Calif.—As soon as low-cost computers were available in configurations designed for use by consumers, with programming features and language that non-technicians could use, the personal computing market began to grow rapidly, according to Apple Computer, Inc., one of the firms vying for a share of that blossoming market. With more than 100,000 units sold, the personal computer market is finally being recognized as much larger then the original hobby market, a spokesman stated, observing that there have already been forecasts of $2 billion in sales by 1985. Apple, which introduced a self-contained personal computer (Apple II) in June 1977, believes the personal computer will make home life better for middle-income families. The spokesman said such systems will provide for better financial decision making and tighter control over family finances, better protection against fire and theft, better environmental control with attendant energy cost savings and more free time for all family members. Additional benefits, he predicted, will include better educational opportunities, lower cost communications, immediate access to all family records and increased family interaction through the entertainment aspects of the systems. At present, the vast majority of non-business computer users are still considered to be hobbyists, Apple noted, because until self-contained machines like Apple II came along, home computers required some technical understanding to assemble and program them. Now, the self-contained machines can be taken home, unpacked, plugged in and put to work. Considering all the purchases of nonbusiness computers, estimates are that hobby computers accounted for 67 percent of all sales in 1977, Apple noted. The home computer, requiring no technical knowledge or assembly. accounted for only 3 percent of that market, with the other markets accounting for the remaining 30 percent. This is expected to change dramatically in 1978, Apple said. Home computers will take 17 percent of the market while the hobbyist sector will account for 35 percent. The home market will dominate by 1982, accounting for 56 percent of all sales of personal computers, Apple predicted. These figures do not include computer systems sold for entertainment purposes, which are generally considered part of the personal computer market even though they can only offer preprogrammed games. The true home computer, by comparison, provides the capability for entertainment in addition to its other possible uses. This entertainment segment of the consumer market accounted for about 18 percent of the total personal computer market in 1977 and will account for about 29 percent by 1982, Apple said. Apple was founded in January 1976 by Steven Jobs and Steven Wozniak for the purpose of developing and marketing personal computers. The firm’s first product, the Apple I, was essentially intended for the knowledgeable hobbyist. Apple received equity financing from Venrock Associates, Capital Management, Inc. and Arthur Rock this March.